Supreme Court Criteria | Goldstein & Russell, P.C. The Supreme Court is extraordinarily selective in the kinds of cases it hears. The criteria for review are well-known among Supreme Court practitioners, but not widely understood by those seeking Supreme Court review, contributing to the large numbers of denials of requests for review. In fact, every year the Supreme Court receives more than 8,000 requests for review, but hears only about 80. The most important criterion for Supreme Court review is a circuit split. That is, the Court primarily takes cases to resolve a conflict among the lower courts of appeals on an important question of federal law. While the Court may depart from that requirement in some death penalty cases or in matters of extraordinary national importance (like the contested presidential election in 2000), it is very rare. Even when a case involves a legal question upon which the courts of appeals are divided, the Supreme Court often will not take the case. The Court will often deny review when the circuit split is new, or involves only a few circuits, or involves an issue that may be resolved by Congress through new legislation or a federal agency through revised regulations. The Court will also deny review if the case is, in its judgment, not a good one in which to resolve the legal question upon which the circuits are divided. The Court is likely to deny review if the lower court also ruled against the party on an alternative ground, if there is doubt about the Court’s jurisdiction to decide the question, or if the Court would have to resolve some other difficult factual or legal question in order to decide the question presented. 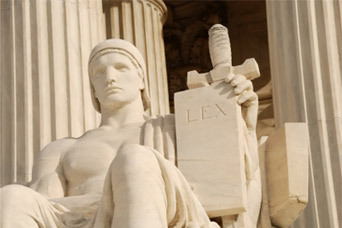 For these reasons, the Supreme Court almost never hears cases to decide questions of state law, to correct errors in the factual findings of judges or juries, to review whether a court properly applied settled law, or to decide novel questions of law that have not been widely considered in the lower courts. Thus, the Court will not grant review to decide whether a criminal defendant is actually innocent, whether a state family court awarded custody of children to the wrong parent, or whether the lower court was biased or badly mistaken in interpreting the law.